Fabbie valentine card Vicky and love the cupcakes, certainly pick up some great tips from Pinterest! What brilliant ideas Vicky, love them. Now that is brilliant, I'm so trying this! Your confetti card is great, looks simple to make too, so effective. Love the heart shaped cakes, what a great idea using the marble. 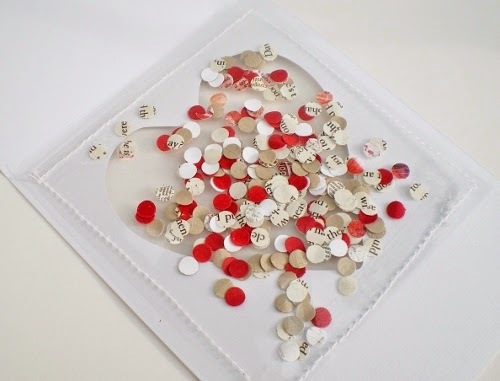 Love your card - the confetti pocket is a brilliant idea!